Teen Johndro Phillips is missing after witnessing a drug deal turn to murder in his Atlanta nighborhood. Johndro is a spotter and runner for drug lord Devus Dontel “Big DD” McFersen, who was acquitted when Johndro couldn’t testify against himself. Lake asks Dru to talk to his ex-wife, Linda. Seems her half-brother’s predilection for young women has gotten him mixed up with the student art community, two of whom go missing. Damian Hansel, his friend Arne Trammel and the mysterious Cho Martine devised a Conceptual Art Performance to shake up the tranquil community. Articles of Damian's turn up on nature trails, and, absent a body, the police think it's a treasure hunt scheme concocted by bored students. Dru thinks not. 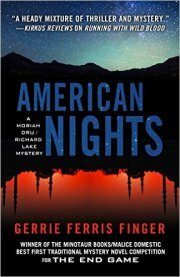 Gerrie Ferris Finger is a retired journalist and author of several novels, three published in the Moriah Dru/Richard Lake series: The End Game, The Last Temptation and The Devil Laughed. 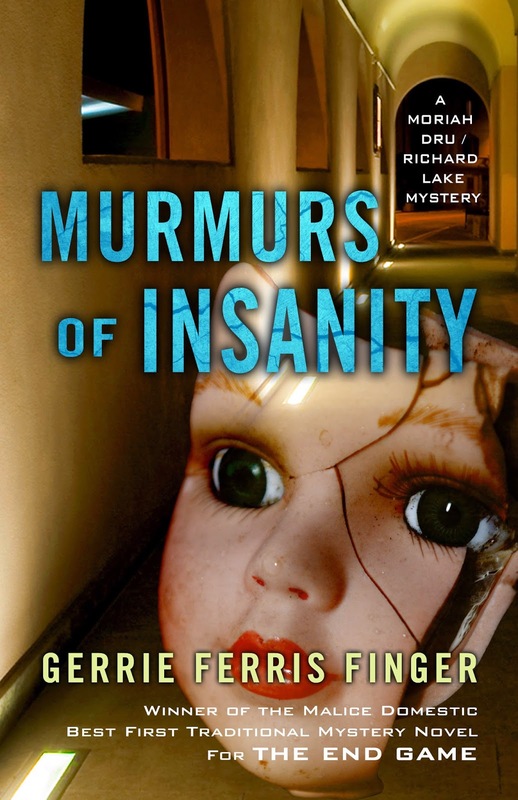 Murmurs of Insanity is the third in the series published by Five Star. 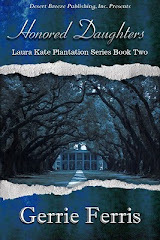 won the 2009 Malice Domestic Best First Traditional Mystery Novel Competition . . . A wellresearched plot and snappy dialogue — plus some fine rail-yard K-9 detecting by Buddy, a German shepherd, and Jed, a Labrador retriever — keep the action moving." — Publishers Weekly on The Last Temptation"